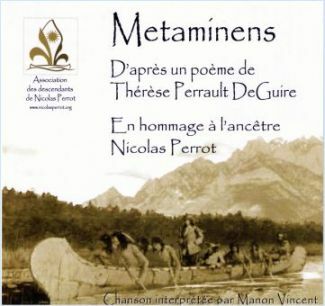 In 2007, Thérèse Perrault DeGuire, artist and poet, had penned a hymn to the memory of our ancestor, Nicolas Perrot. 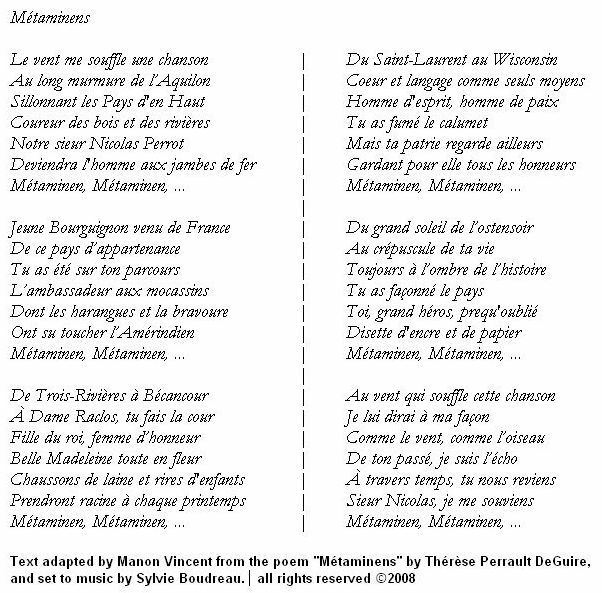 This poem was recited during the 2007 get-together by Yann Perreau. In 2008, Thérèse and her collaborators, Sylvie Boudreau, pianist, and Manon Vincent, author-singer-songwriter, put the finishing touches on a project that has long been close to her heart. 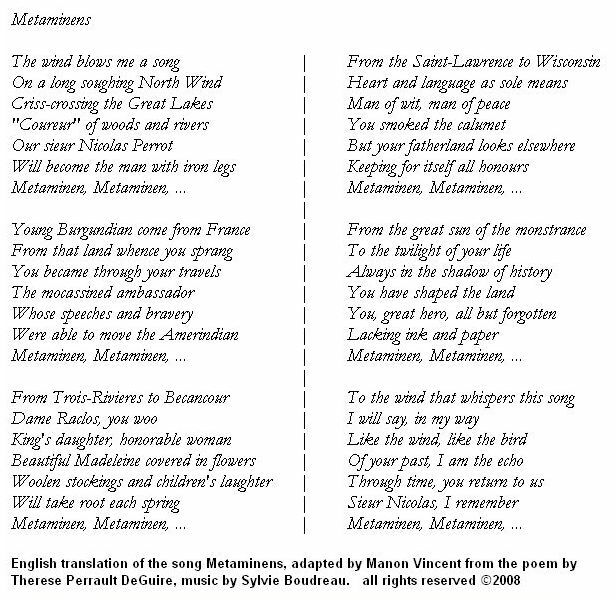 Manon adapts a few of the stanzas of the poem while retaining the essence of the wording and Sylvie adds an arrangement for them. Here is the result. For more information, or to obtain a copy of the CD, please contact me (Andrè Clément Perreault) at 819-663-1694. (vol 2, no 1, pg 3, french / english). 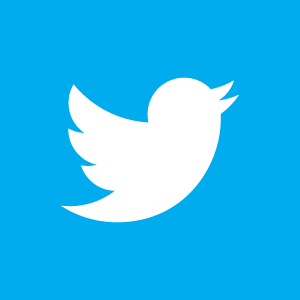 For an English translation of the song, click here.